Maori from Aotearoa sharing time and Hongi (Breath of Life) with Shailene Woodley. Through the exchange of this physical greeting, one is no longer considered manuhiri (visitor) but rather tangata whenua, one of the people of the land. For the remainder of one's stay one is obliged to share in all the duties and responsibilities of the home people. Māori are the tangata whenua (indigenous people of the land) of Aotearoa. Maori people define themselves by their iwi (tribe), hapu (sub-tribe), maunga (mountain) and awa (river). 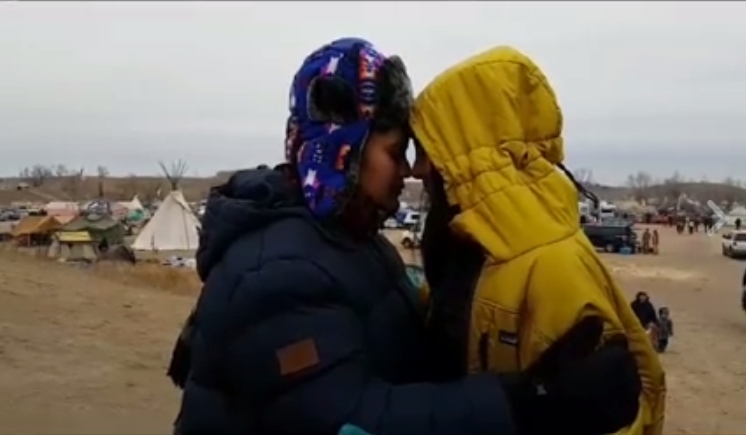 Responses to "Māori Tangata Whenua share Hongi (Breath of Life) with Standing Rock Water Protectors"